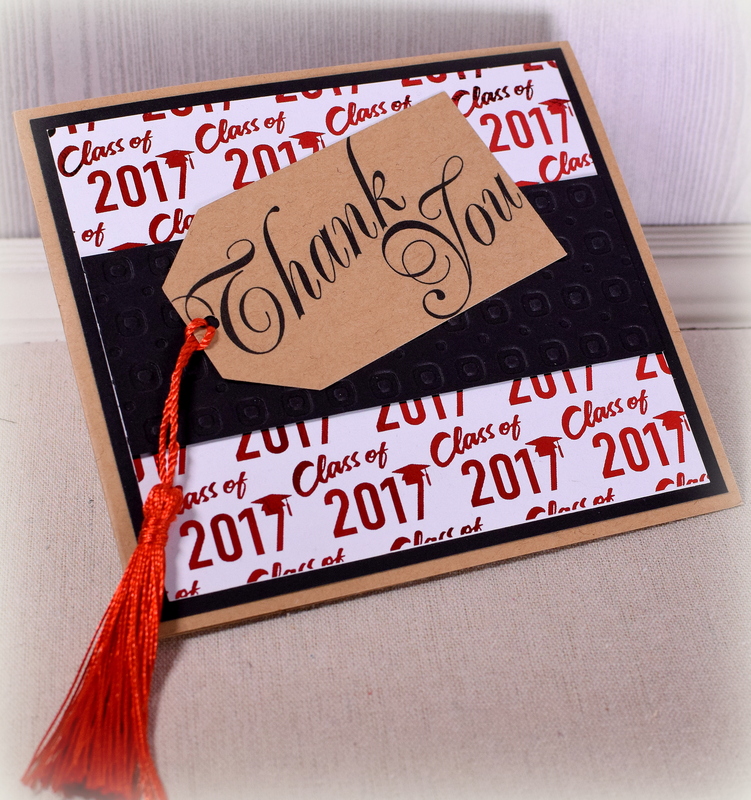 Pop-Up Graduation Thank You Card | I Played With Paper Today! Here is the second of the three designs I came up with for graduation thank you notes for my kids. 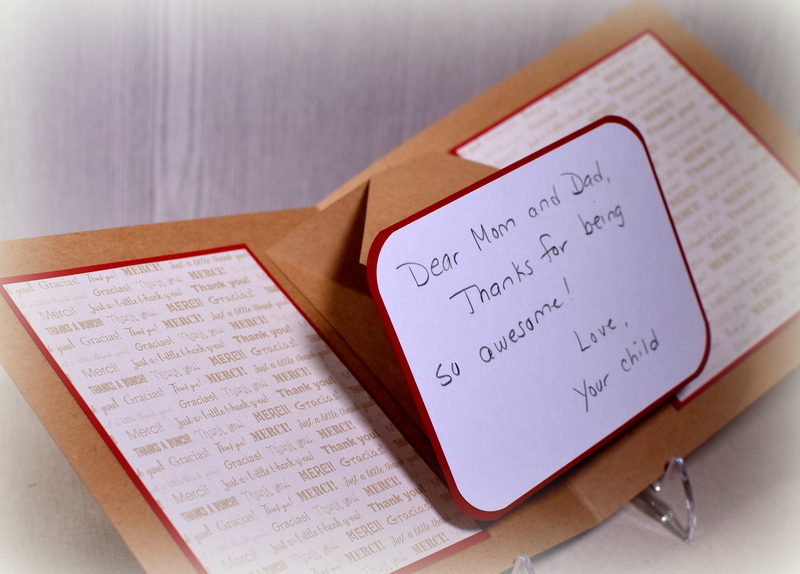 For this one, I used the Sizzix “Platform, Spinning 3-D” Bigz Die (#656029) designed by Karen Burniston which caused the hand-written message to pop out at the recipient when the card was opened. Because my pop-up element was kind of big, my overall card needed to be big to accommodate it. My card, when closed, is 5 1/2 x 5 inches. 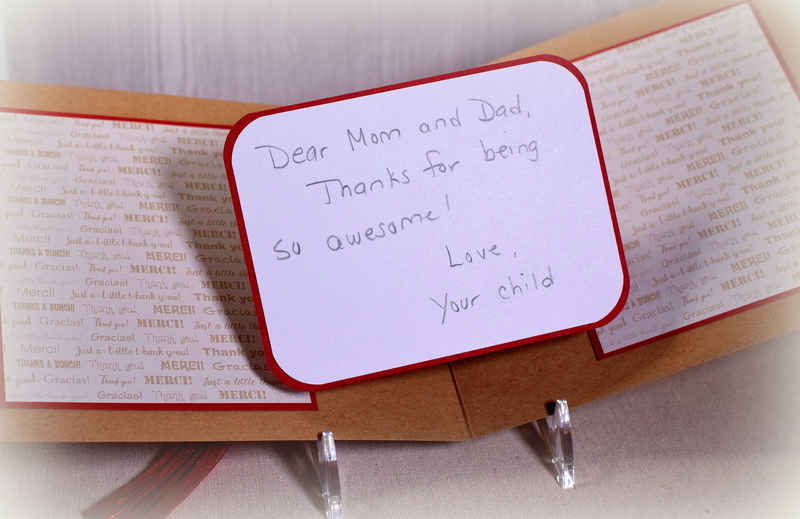 (When the card is closed, the edges of the pop-up note line up pretty closely with the decorative panels on each side.) If the pop-up element were smaller, the card could probably fit into an A2 sized envelope. 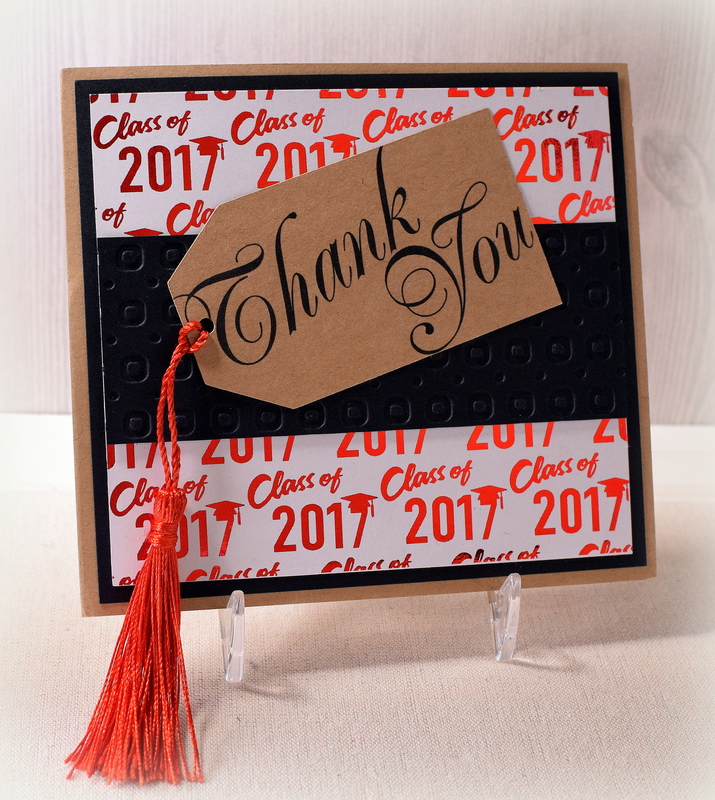 Instead of creating a custom envelope, I ended up using envelopes meant for cards measuring 5 x 7 which allowed room to the left to carefully position the tassel so it didn’t get all wonky when mailed. Kraft card stock was used for the card base and tag. This tag with the greeting was downloaded and printed from a file called “Printable Thank You Gift Tags” that I purchased from Concertina Press. I purchased the tassels (ready-made) on amazon. The black panel across the middle was debossed with a Darice Circle Background embossing folder. The inside panels were matted on Gina K Red Velvet card stock. The side panels are from a digital paper pack called “Thank You Papers” by AMB Illustrations that I also purchased on Etsy. Wonderful graduation card design. 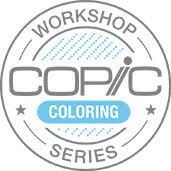 Awesome colors too.